When developing a web application you often stumble upon situations that make you select between PHP library and PHP framework. In this article we will show you the pros and cons of PHP libraries and frameworks and explain in detail in which cases you should choose one over another. A PHP library consists of a reusable piece of code which you use as it comes. You can access a library function through an API. You call a library function, it executes the code and then control is returned to your code. Library is described as “a collection of implementations of behavior, written in terms of a language that has a well-defined interface by which the behavior is besought.” PHP library offers a lot of freedom and space to develop a web application. Coding with PHP libraries can be fast and flexible since there are no framework overheads. 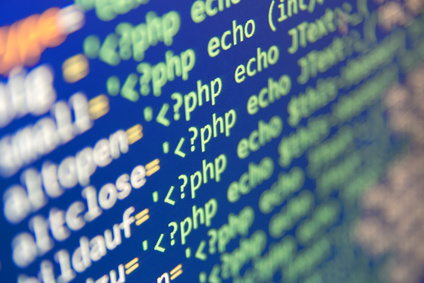 You are the master when you are using libraries for your PHP web application development. That means you have control over the usage of the library. You can create an object and destroy it, as well as manipulate it (based on libraries’ API). Framework is described as “an abstraction, in which software providing generic functionality can be selectively altered by additional user-written code, thus providing application-specific software.” Framework introduces an extra layer to wrap your business code inducing better manageability and workability in teams. For example, on an MVC framework teams can work separately on model, view and controller part. Framework uses your code, so it works as the master. That means you don’t have control over what will happen and when, which is the responsibility of framework. The advantage is that you have fewer things to worry about, but you also have less control over what can be done. Frameworks often tie your hands and prevent you from doing both – unwise and useful things. While using framework, it calls your functions and you are returning responses. This is tremendously helpful during debugging. PHP libraries and frameworks have its pros and cons. Combining the two solutions is the way to go for achieving the best results. This way you will get good quality code, speed, reusability and control (advantages of libraries), as well as faster programming, and support from the community (advantages of frameworks). PHP library and frameworks have their own advantages and disadvantages; it mostly comes down to workflow preferences and demands of the project. NetFillipians, with their immense knowledge and skillsets, implement agile development approach to deliver unmatched PHP web application development solutions to fit our customers’ unique business necessities and tactics. To know more, check out our services for PHP web application development, Laravel web application development and CodeIgniter web application development.